Lets rock our key clubs this year guys!!! 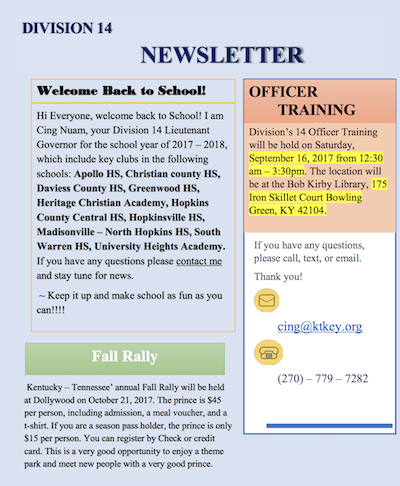 Please read over the Newsletter, it have every detail you need to know for the school year of 2017 – 2018. Stay tune for more information!! Yay…..